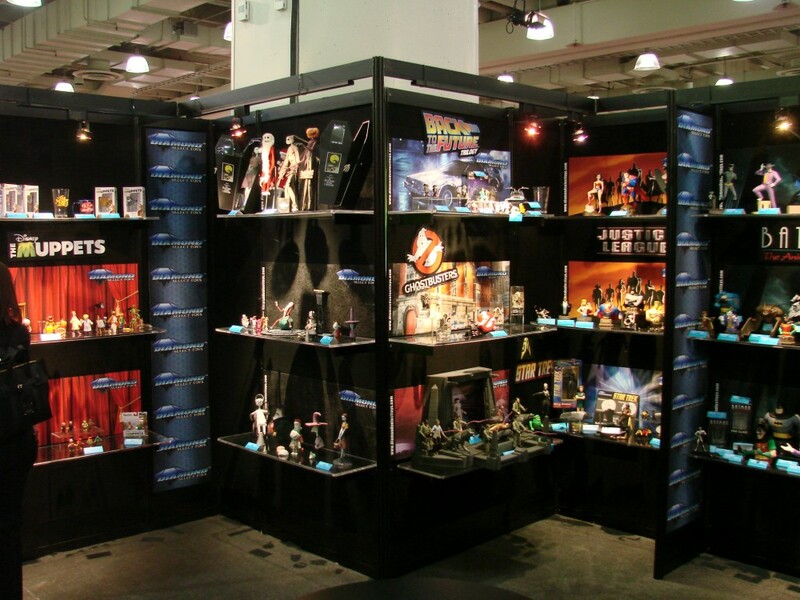 This weekend, Toy Fair International begins at the Jacob Javits Center in New York City. Not open to the public, the event allows toy manufacturers to present their new offerings to buyers from retail stores around the world, and it always offers fans the first look at the hottest toys of the year. Well, this year Diamond Select Toys (booth #4905) will once again be in attendance, and once again they will have plenty on display to dazzle fans! On display will be new items from Marvel Comics, Marvel Studios, The Walking Dead, Star Wars, Star Trek, Universal Monsters, The Munsters, Knight Rider, Ghostbusters, Pathfinder, Back to the Future, Tomb Raider, Lenore and Invincible. Products will include highly detailed 7-inch action figures, 2-inch Minimates mini-figures, Femme Fatales PVC statues, Granix art plaques, vehicles, light-up statues, banks, prop replicas, bottle openers, kitchenware, neon signs and more. Lost in Space: The classic 1960s TV show, which updated “The Swiss Family Robinson” for the space age, will receive Minimates and an electronic replica of the B-9 robot. Aliens: The 1986 science-fiction classic that drove the Alien franchise to new heights will receive Minimates and Minimate vehicles, as well as electronic vehicles of the Colonial Marines’ military transports. 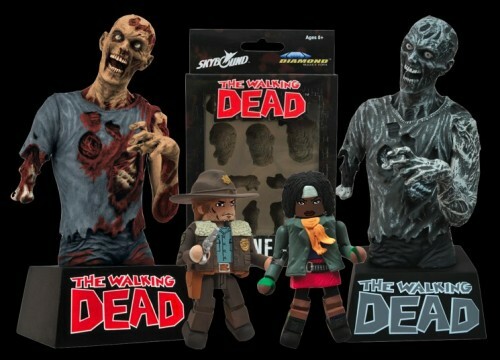 Next Up: Enter the Walking Dead Contest to Win Walking Dead Swag!